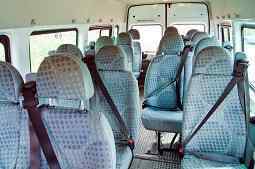 Blackpool Minibus Hire is a fully operational minibus and coach hire service serving Blackpool and the surrounding localities. We are the main providers of minibus and coach services in the Lancashire area and all tariffs are competitively priced. Our passionate team have over a decade of experience in this line of work and are dedicated to providing outstanding customer service. Our customers expect reliable transport is quick, easy-to-use and accessible. 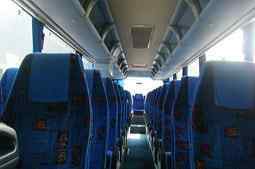 We possess CM1 minibuses in 8 seater, 12 seater, 14 seater and 16 seater capacities. 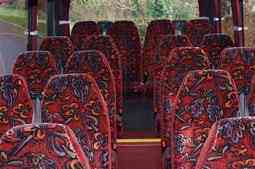 We also have larger coaches which seat 24, 29, 33, 39, 49, 53 and 72 people. Larger coaches are normally used for longer excursions and party seeking to hire transport over a longer period of time. Bookings made range from hen and stag dos to larger party activity weekend. Whatever the occasion is, we provide transport that is suitable for our customer’s needs. We meet and talk to people from a range of different professions and a range of different backgrounds. We aim to do so in a dedicated, courteous and knowledgeable manner. Transportation made available for hire is suited to the nature of the activity and the number of individuals travelling. All of our minibuses and coaches are regularly checked and cleaned to ensure the highest standards of cleanliness and reliability. Our vehicles are also serviced annually to make sure that they are running correctly and working in line with company policy. When we hire our vehicles out to our customers we want them to wowed by the exceptional standard of maintenance and cleanliness. Customers have often commented on how reliable our coaches and minibuses are and how they would definitely use us again. Some of our larger coaches come with hired drivers. These drivers have decades of experience in the industry and are used to transporting hen, stag and other large parties around the United Kingdom for their chosen activity. Our drivers possess a wonderful sense of humour and will often add to the positive atmosphere of a trip! It is very easy to book a coach or minibus with us; simply give us a call or go onto our website and complete a booking form, This will allow you to complete all of the key details. A full price list for all of our transportation is available on request over the telephone and a more comprehensive list can be downloaded from our website. We need to know where you intend to travel to, how many are in your party and what the nature of the special occasion is. This will allow us to designate relevant transport to your booking. Special requests are commonplace and we will gladly decorate a minibus or coach for a special occasion if you let us know in advance. Essentially, we will do our utmost to accommodate your every need and tailor our services to your personal needs. Blackpool is a worldwide known seaside resort and has a range of places to visit for the whole family. The most famous tower in Great Britain has to be the iconic Blackpool Tower. On a sunny day you can see the coastline continue and view people as little specs, walking underneath you. It was first opened to the public in 1894 and has been popular ever since. When Blackpool illuminations are in full flow the Blackpool Tower looks spectacular against the moonlight backdrop. Blackpool Pleasure Beach is located on the Flyde Coast in Blackpool. The park has been open to the public since 1896 and has been owned by the Thompson family since its opening. It is the most visited tourist attraction in the United Kingdom and tourists from all over the world come to sample its delights. The Big One, formerly known as the Pepsi Max Big One is a steel roller-coaster, which is situated at Blackpool Pleasure Beach. Thee ride opened to the public in 1994 and cost £12 million to construct. The Grand Theatre in Blackpool is one of the highlights of the town. Since 2006 it has be known as the National Theatre of Variety. The theatre puts on a range of plays and performances and caters for a range of theatrical tastes. 2015: Blackpool Air show takes place on the 9th and 10th August and gives families and individuals the opportunity to see some spectacular aircraft in a lively and friendly environment. Blackpool Illuminations take place between 4th September until 8th November – why not come and see the promenade lit up in all its glory? A wonderful spectacle for families and couples alike. 2016: The Blackpool International Soul Festival takes place between 17th June and the 19th June. The festival celebrates the influence of soul on modern day music, as some spectacular live acts show you what soul is all about. Sarah Millican: Outsider 01 May 2016 8:00 PM. The comedienne comes to Blackpool in early May to showcase her growing comedic wit and talent. An event not to be missed! Blackpool Dance Festival China 19 August 2016 – 23 August 2016 is a special event that documents and celebrates all things Chinese. A humdinger of an event that will leave your tastebuds wanting more. 2017: Why not spend the New Year in Bradford to usher in 2017? Bradford is awash with different restaurants and a range of different types of entertainment. Different cultures will help you celebrate in style; book early to avoid disappointment.